A Stonefly, possibly a Dinotoperla sp..
Stoneflies are one of the most primitive insects on the planet, their ancestors making their appearance almost 300 million years ago, and they have changed little since then. 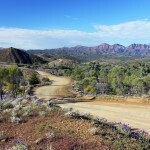 There are approximately 2000 species of Stoneflies in the world, of which almost 200 are found only in Australia. 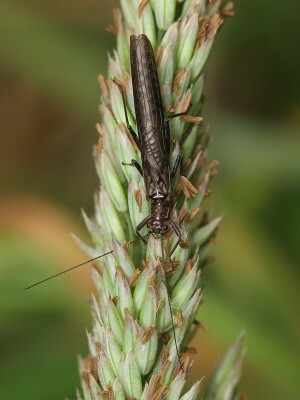 Stoneflies are recognisable by their elongated shape and soft, membranous wings. The hindwings are usually broader than the forewings and at rest both pairs are held flat against the body. 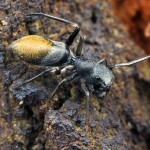 They have medium-length antennae, mandibulate (chewing) mouthparts and a single pair of eyes. 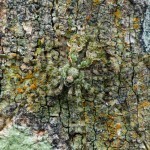 At the tip of the abdomen is a pair of cerci, which are basically touch receptors. They have long legs, which are typically pointed forward at rest. The life cycle of the Stonefly is a fairly simple one. An adult will drop 100 to 1000 eggs into a freshwater stream, where the larvae will live for a few months or a few years, moulting up to 15 times as they develop. When they are ready, the larvae emerge from the water to carry out their final moult and become a winged adult. 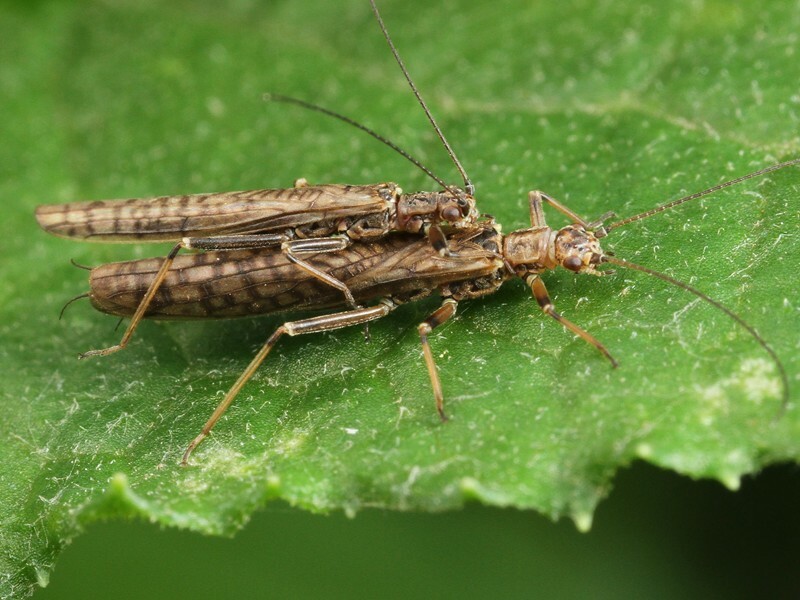 Adult Stoneflies only survive for up to a week, their sole aim being to find a mate and produce the next generation. A mating pair of Stoneflies, possibly Dinotoperla sp..
Algae, rotting wood and other detritus make up the diet of adult Stoneflies, while the larvae can also include in their diets other small aquatic invertebrates. 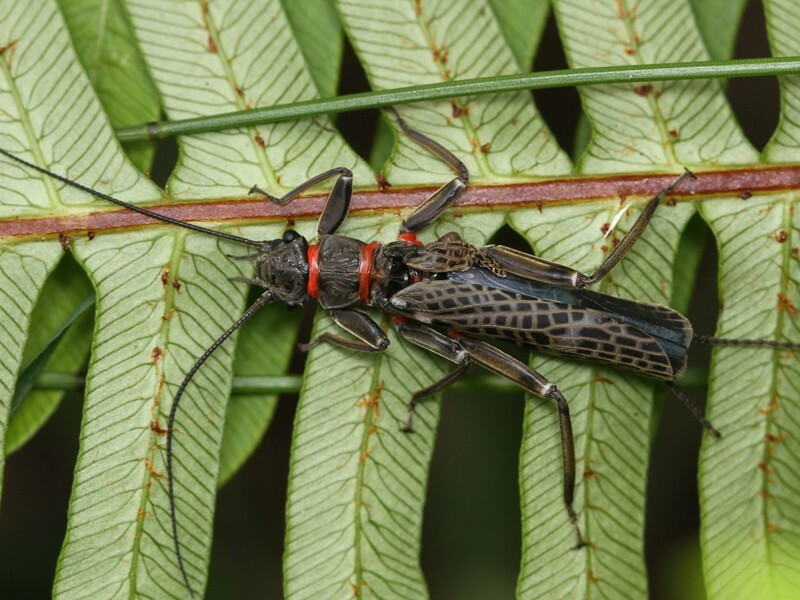 Stoneflies spend their entire lives in or near cool, freshwater forest streams and are found mainly in Tasmania and the temperate and tropical regions of the east coast of mainland Australia, with only a few species being recorded in South Australia and Western Australia. As is the case with many other aquatic invertebrates, the presence of Stoneflies can be an indicator for a healthy waterway and a balanced ecosystem, so let’s hope we continue to see plenty of them in and around our streams and rivers. Eusthenia venosa, one of the larger and more conspicuous Stoneflies. This one has a damaged or deformed forewing.